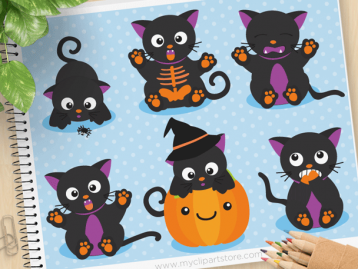 Halloween Witch Vector Clipart with magic potions, magic wand, cauldron, cute black cat, a bat and a spider! This is set 2 of 2. Halloween Witch premium vector clipart for personal and commercial use.